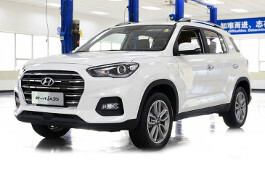 Correct Wheel Sizes, PCD, Offset, Rims and Tire specs for Hyundai ix35 series. I have just sold my 2012 kia sportage and am getting an ix35. I have winter tyres on steel rims from my sportage and am trying to work out if they will fit my new ix35. Having used this website, the winter tyres are 215/70/R16 which is listed for both cars. The Rim, bolt pattern, THD and CB are the same for both cars, there is only one difference, on the Kia there is a positive offset of 35mm, and on the hyundai the positive offset is listed as ET45 so 45mm i'm guessing. Is this 10 mm difference a problem? Or will my winter tyres on steel rims from my kia fit on my ix35? 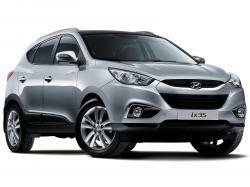 Hi, Dunno where your info comes from, but the Hyundai IX35 4x4 comes with 225/60/18's not 17 inches which you show.